Guatemalan Native Comalapa Clutch Bag Handmade by Hide & Drink :: Sunset | Accessorising - Brand Name / Designer Handbags For Carry & Wear... Share If You Care! This beautiful Comalapa Clutch Bag is hand crafted with the finest materials to carry your personal belongs and accentuate your favorite outfit. Handcrafted with Bourbon Brown Leather combined with beautiful Comalapa Mayan Textiles, the beautiful clutch bag is perfect for all occasions. The inside lining is made with sturdy raw canvas, ensuring protection to your valuables. The Comalapa Clutch Bag is easy to carry with a Full Grain Leather wrist strap for convenience. 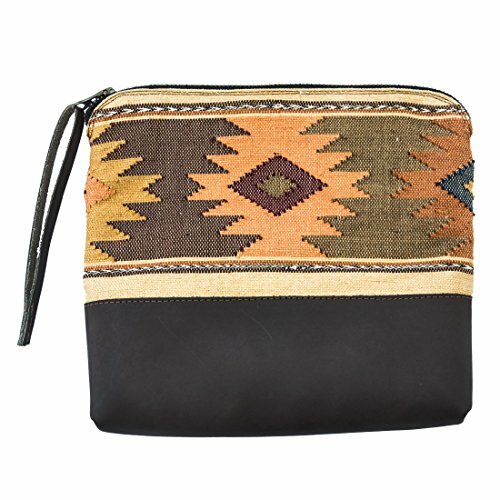 HANDMADE FROM SOFT & ATTRACTIVE FULL GRAIN LEATHER & TÍPICO TEXTILES: This beautifully stylish lady’s leather Clutch Bag is hand sewn and hand crafted using eye-catching, soft yet reliable Full Grain Leather, combined with beautiful back strap loom woven typical Mayan textiles from Guatemala. Compact and lightweight, this attractive yet unassuming Comalapa Clutch Bag will have you turning heads with style and grace. AMPLE SPACE, YKK ZIPPER AND WRIST STRAP: The Clutch Bag has enough space for your cell phone, make up, and other essentials for the night out. The Clutch Bag boasts a sturdy, reliable YKK zipper, making the it easy to open and close, as well as ensuring security and accessibility. Finally, one of the Comalapa Clutch Bag’s greatest qualities is the unassuming Full Grain Leather wrist strap for convenient carrying. AGE-OLD WEAVING TECHNIQUE USING TYPICAL MAYAN TEXTILES: The colorful fabric exterior comes from Comalapa, a town in Guatemala whose inhabitants have dedicated their lives to an ancient hand-woven technique using a back strap loom, producing beautiful and inspiring artwork. This weaving technique, according to Mayan mythology, originates with the Maya Goddess of fertility, Ixchel. Practiced by many artisans throughout Guatemala over generations, it’s more of an art form rather than just a craft. PERFECT FOR ALL OCCASIONS: The Comalapa Clutch Bag is elegant in its vintage simplicity and design, meaning that it will combine or contrast with any and every outfit you choose. 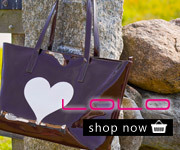 This isn’t just a bag, it’s a fashion accessory that speaks volumes about your personality and character. It’s compact, lightweight, made with exquisite leather and typical textiles handmade in Guatemala, and belongs to someone who appreciates the finer things in life. MAKES A FANTASTIC GIFT: This elegant Clutch Bag is a beautiful and thoughtful gift for your friends, family, girlfriend, or wife. An excellent gift idea for Mother’s Day, a perfect Christmas day present, or a wonderful idea for Valentine’s day or an Anniversary. You’ll be sure to earn many thoughtful brownie points with this gift.